Educators of all ages, from kindergarten through college, are quickly realizing that academic skills aren’t enough to ensure student success. Increasingly educators and district leaders are trying to incorporate non-cognitive skills into the school day that they hope will help students develop the inner fortitude and confidence to push through personal and learning challenges. But even as character development programs have become more popular, there hasn’t been much consensus on which character strengths lead to the best long term results. 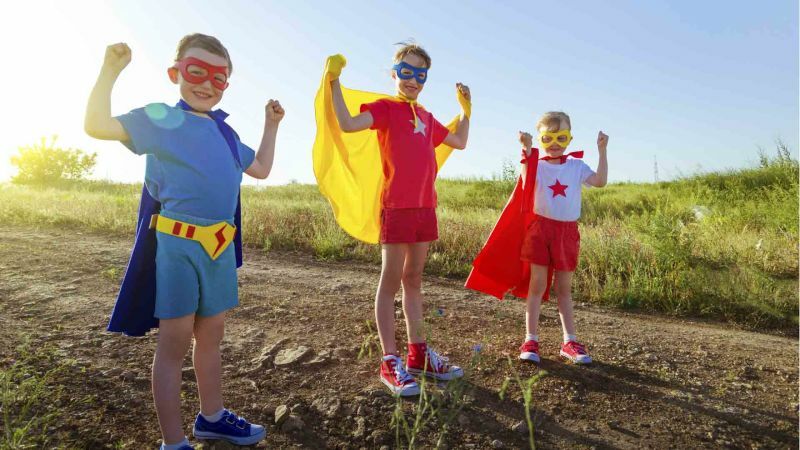 In a small scale study conducted in the Boston Area, Boston University Education Professor Scott Seider tried to determine which character strengths correlate with student success and examined how different approaches to character development impacted students. The results of his study are part of his book Character Compass: How Powerful School Culture Can Point Students Towards Success. Seider studied three charter schools within 10 miles of one another, all serving mostly children of color, and all performing well on standardized tests. The schools were similar in terms of structure, demographics and academic achievement, but each school chose to define and focus on character development in different ways. 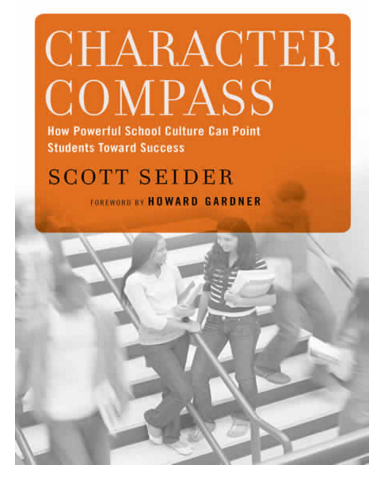 Seider chose the schools for their similarities and because their character development programs fell into three categories: civic character, moral character, and performance character. He defines civic character as the strengths students need to be informed and compassionate citizens of the world. Moral character on the other hand is more connected to an individual’s ability to engage in ethical relationships with other people. And finally, Seider defines performance character as the skills students need to maximize achievement. Seider gave students at all three schools a character survey at the beginning of the school year and again at the end with questions meant to measure empathy, integrity (strengths he defines as moral character), perseverance, daring/courage (which he defines as performance character), social responsibility and school connectedness (which he defines as ethical character). He compared GPAs and number of demerits as a way of assessing conduct. He also interviewed 15 students at each school about their experiences and spent between 15-20 days observing at each school. Boston Preparatory Charter School focused on moral character. “When I say moral character, I’m talking about an individual’s ability to engage in ethical relationships with other individuals,” Seider said as he explained the study and its results at a Learning and the Brain conference in Boston. Boston Prep focused on qualities like courage, compassion, integrity, perseverance and respect primarily through an ethics class students took every year from sixth grade through senior year of high school. In sixth grade students explored the idea of integrity and how it relates to telling the truth. In seventh grade they focused on responsibility for one’s actions, and in eighth grade they discussed how to stay true to oneself and the concept of authenticity. Seider sat in on one 8th grade discussion about Harvey Milk, the first openly gay person to be elected to political office in California. “Students were thinking through what it means to be true to yourself and connecting it to things inside and outside of school,” Seider said. At the high school level, students read Plato’s social contract theory and discussed how it interacts with personal integrity. When Seider visited students were comparing the lives of Muhammad Ali and Pat Tillman, wrestling with the moral question of what to do when personal opinion doesn’t line up with the social contract. “At the end of the year the students showed a higher level of commitment to integrity than students at the other two schools,” Seider said. And, at the high school level students seemed to feel more empathy. “Ethics class seemed to be slowing them down a little bit and had them thinking more about the decision they were making,” Seider said. That doesn’t mean students always made the right decision, but at least they were thinking about it. At Roxbury Charter Preparatory, a middle school, the focus is on performance character and qualities that help students maximize achievement. School leaders focus on things like grit, perseverance, and self-control primarily through discussion and practice during an advisory period. The school emphasized how effort leads to results with school wide competitions like a digits of pi memorization contest and a public speaking extravaganza where every student works to present a speech or poem to the student body. Seider sat in on one advisory session when students were working on their public speaking skills. A student presented and then got feedback from peers and the advisor on things like volume, making eye contact, accuracy and emphasizing important words. The tone of these meetings underscored that hard work is important for improvement and that everyone supports one another. “What I found was that the kids at Roxbury Prep showed higher perseverance than the kids at the other two schools,” Seider said. He recognizes that perhaps that isn’t surprising since the survey tool asked students to self-report and perseverance was a socially desirable answer within the cultural context of their school. But Seider still believes their responses indicate that students are thinking about the value of these qualities in relationship to their own lives. Civic character education most closely aligns to the ideas of Horace Mann and Thomas Jefferson, who believed one role of education is to create better citizens. These strengths focus on students’ ability to fulfill their responsibility to a community. The Academy of the Pacific Rim, which focused on these qualities was founded on the principle of merging the best qualities of Eastern and Western education. Sixth graders at Academy of the Pacific Rim took a character education class in which they focused on what it means to be part of a community. They read a book called Seedfolks which features a diverse group of people tending a community garden, each contributing something unique to the collective effort. And all the middle school grades had a townhall style meeting once a month where concerns can and are raised by both teachers and students. For example, Seider sat in on a discussion students raised and led about whether the boys were distracting the girls during class time. As students at the school get older, they are encouraged to continue broadening their perception of their community from just their class to the world writ large. All seniors must complete a capstone in which they choose a social issue they care about and spend a large portion of the fall semester researching the topic before presenting to the junior and senior classes. Then in the spring semester, students find a non-profit or business working on their issue and complete a six week internship there. “The strongest predictors of grade point average were perseverance and school-connectedness,” Seider said. This is merely a correlation, but of the six character strengths he measured those were the only two that seemed to have a significant impact on academic performance. Interestingly neither of those two characteristics figured into conduct, where integrity was the only strength that remained in the model. “What’s interesting is that moral, performance and civic character strengths are all part of the equation,” Seider said. Seider is well aware of the problems involved in comparing GPAs between schools or even conduct demerits since both those measures could be different between schools. He found that there are certain character strengths that correlate with stronger GPAs and with better conduct. Separately, he found that when schools focus on certain character strengths they see shifts in those areas, but the two parts of the study don’t fit neatly together. “Maybe it’s not that shocking that different character emphasis do lead to different outcomes,” Seider said, but the study did lead him to see some commonalities in how school’s approached the difficult idea of teaching character. All three schools helped students build schemas -- the mental structures that help someone determine how to act in different situations -- to which they could constantly refer. Another important commonality was vocabulary. Each school worked to build up a common language about their targeted character strengths. “You would see faculty and students using the language to interact with one another,” Seider said. Even sports coaches used the character language the school carefully cultivated. And having that common language helped with perhaps the most important feature of these programs, facilitating cross-context transfer. “We have to use that language to engage students in thinking about their ability to persevere or show integrity in specific contexts,” Seider said. It’s tempting to believe that skills like integrity are generalizable across all situations, but his research shows that educators effectively must treat each new context as grounds of a discussion about how the character strengths apply. Kids won’t always immediately see the connections without help. This study is most interesting in the specifics of how these schools chose to incorporate character education into both social and academic situations, than it is as a way to draw broad conclusions. When schools explicitly focus on a limited set of character strengths they do see changes in how students rate themselves on those qualities. It’s not that one or another specific quality is the most important, but rather that these strengths can be cultivated when they are explicitly woven into both the academic and social fabric of the school. “If someone asked me what character traits to focus on, I would choose one from each character type,” Seider said. Each schema can provide powerful ways to motivate and enable students to be competent and ethical citizens of the world.